I just had the opportunity to review the most recent release, A Fool's Heart, from Justin Saladino Band and it's groovingly smooth. 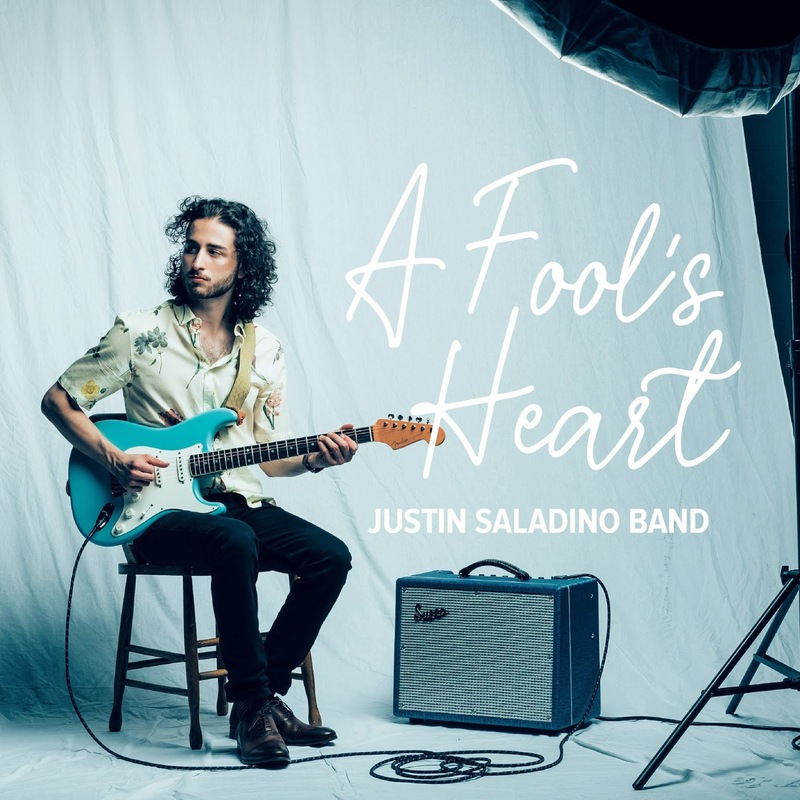 Opening with A Fool I'll Stay, a melody rich track with a catchy hook, Justin Saladino on lead guitar and vocal crafts a top radio track, joined by Gabriel Forget on bass, A.J. Aboud on drums and Felix Blackburn on guitars. Add a little bounce and you have Honey, a polished R&B track with just the perfect balance of guitar and vocal. Take What You Need is polished with a solid weave of vocals, keys and guitar. This is as close to Steely Dan as it gets. My favorite track on the release is Bad Habit with it's skipping funky rock fusion feel. Saladino's vocals are cool and lain back and the guitar, bass and drums workout is terrific! Bluesy ballad, Peace Be With You, has a strong melody and familiar feel with smooth vocals and nicely accented guitar work over warm organ backing. Very nice. Wrapping the release is Mama Said, an easy set acoustic style ballad featuring Saladino backing his own vocals with fingerpicked electric guitar. This is a really "nice" release with a lot of feel.